You may never think that you want to learn about a skateboard until you have a chance to experience it. But be careful you may be addicted! Since many young people have not given up their passion for this action sport- skateboarding. Have you ever witnessed the children competing to cross your face at breakneck speed on their Skateboard? When watching acrobatic performances on artificial protrusions, you will feel really excited. Skateboarding comes with these things. In this article, we summarize the basic knowledge of skateboard that you may not know. We also introduce in particular about the history and development process as well as providing fascinating tips for beginners to join in skateboarding. Nowadays, the skateboard is not merely a means of a vehicle. It has been upgraded to become an art form. I will share with you a story about the history of the first skateboard in the world. In the 1950s-1960s, surfing was a very popular sport in the majestic summer. However, you can only experience it when the sea has good waves. That reality urges people to create an alternative solution. It is a skateboard. 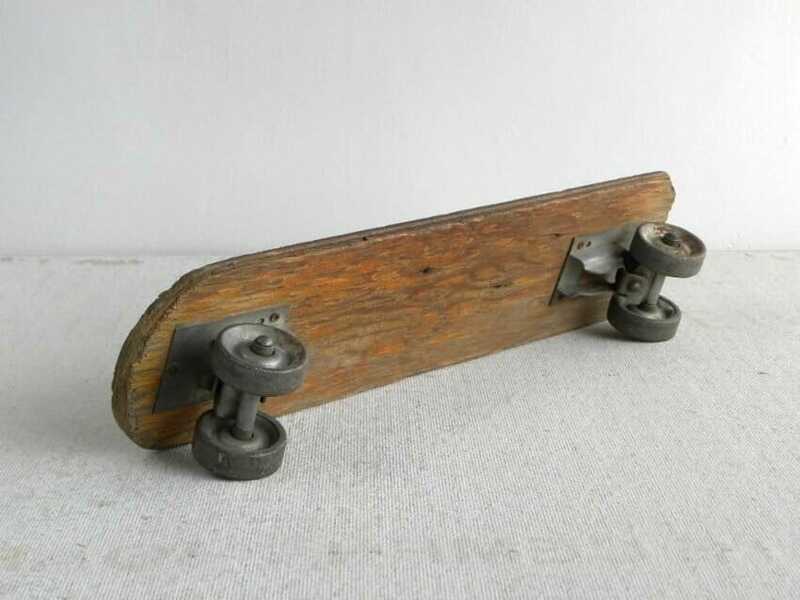 So far we don’t know who created the first skateboard. However, its name at the time was the sidewalk surfing. Wow, it really makes sense, right? Since sidewalk is an ideal place for boys to express themselves with impressive performances. The first design of the skateboard looks very rough and simple. It only consists of a wooden box with the wheels attached under the bottom. Over time, skateboard became a commercialized product. Beginning in Los Angeles, California, the product was more manufactured and this is the basic condition for famous brands of skateboard manufacturing were born. 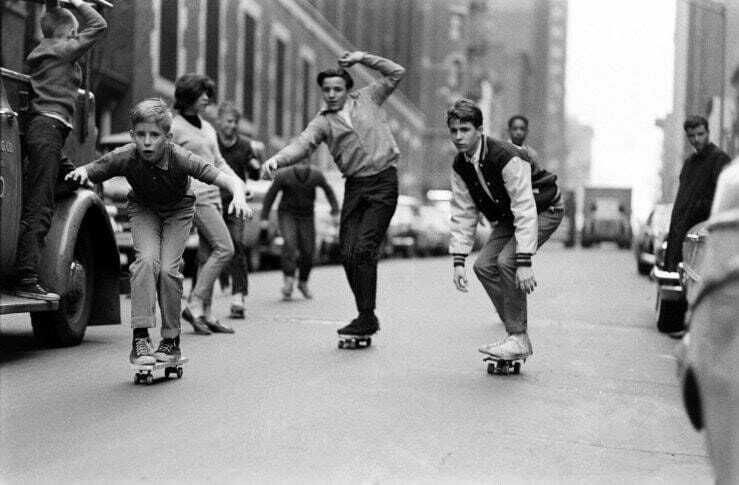 Skateboards have been formed and developed as that way until today. Skateboarding will be the art performance of Olympic Tokyo in 2020. This is also seen as an acknowledgment to the attractiveness of this sport. It is both a means of transportation and an art game loved by young people. However, the controversy regarding this action sport has not yet ended. The main reason is that it is not easy to use a skateboard. You need to learn the basic technique to keep balance and control the skateboard. You may also get unavoidable injuries taking place during your practice time. The popularity of this sport has created a real revolution over time. Along with that is the appearance of many skateboarding styles. We have known two types of the skateboard. Skateboarding to show tricks and use skateboards as a mode of transport. They were divided depending on the purpose of skateboarders. Skating style is affected by individual skill level and other extra ones such as culture, mass media, music, technology, corporate influence. What skating style is for you? The style was born in the 1960s. There is a ceremony that is the oldest form of skateboarding. It focuses mostly on the personal skill of skateboarders. In the 1980s, there were many competitions are organized to search the impression contest. It creates a big hit for the development of this slide. It involves riders moving from horizontal to vertical. Skateboarders will set up the skateboard with large wheels and a wide table for balance better. That will make it easy to implement difficult tricks. It also referred to as “transition skateboarding”. Street skateboarding is a style that takes advantage of the available materials on the road such as ditches, stairs, stone chairs, plant boxes. Skaters use the long and narrow deck. They are also very light to flip faster. This type is pretty specific. Obstacles such as stairs and rails were set up in part. It is considered a combination of vert skateboarding and street skateboarding. The style focuses on speed. Skateboards are designed with large rubber wheels to help traveling as quickly as possible. Downhill skateboarding is also a popular style in the early 1970s. The long skateboard looks like a snowboard. Instead of walking or using other vehicles when traveling on the road, you can use this type of board. With a large and long size, plus a large wheel system, it helps you balance better and move faster. To start with skateboarding, you need to find a reliable place to buy. Please go to the stores that sell planks and have advice from experienced people. They will show you what kind of skateboard is best. Buying skis from famous brands also help you feel more secure about product quality. After you have had a satisfied skateboard, the next thing you need to do is find a guide and a place to practice. The initial time will cause a lot of difficulties for you. Injuries are unavoidable. Please be well prepared. Mastering the basic behavior first is the key to helping you become an expert. You should join a group of people with similar interests. You will easily help each other and have more motivation. You must have gathered useful information from this article, right? The boom of this sport over the years has made a tremendous impression on young people. Honestly, choosing a good skateboard is not easy. Forming Skating Style first and then take a suitable skateboard for you. In addition to the basic knowledge of skateboarding, the characters having experience will give you many valuable words to pick a suitable product. They will also be the best ones to guide you in basic movements once you first start playing. In my personal opinion, skateboarding is an exciting sport. Sincere advice for new players is to be patient. Thank you for taking the time to read our article. Wish it has given you a little more information. If you feel good, please share it with others.